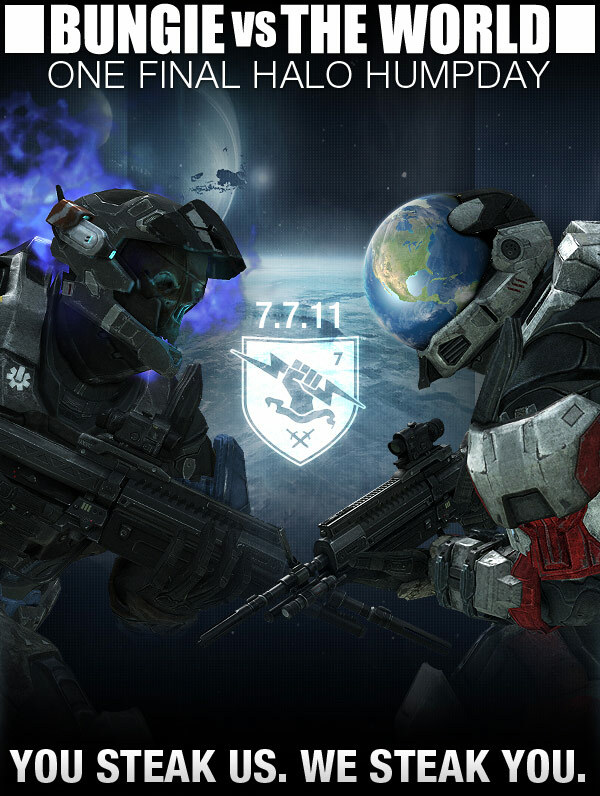 Bungie, known as the creators of the Halo franchise, have long held a fascination with the number 7, and as such on every July 7th they celebrate Bungie Day with their community. To make things more exciting they are simultaneously celebrating their 20th anniversary this year. After creating their final Halo game Bungie is using this Bungie Day to say farewell to the franchise by playing with the public. Today only, there is a Bungie Day matchmaking playlist in which Bungie employees are playing. Those who are lucky enough to get matched against one of their teams can attempt to earn a steaktacular (by beating the Bungie team by 20 points or more) and earn real steak. Bungie has said that, while supplies last, they will send out a pair of steaks to every player on teams that successfully beat them by that margin. This seems like a great way to thank the community, and from the time I've spent on the playlist everyone seems to be having a good time. So here's to Bungie! 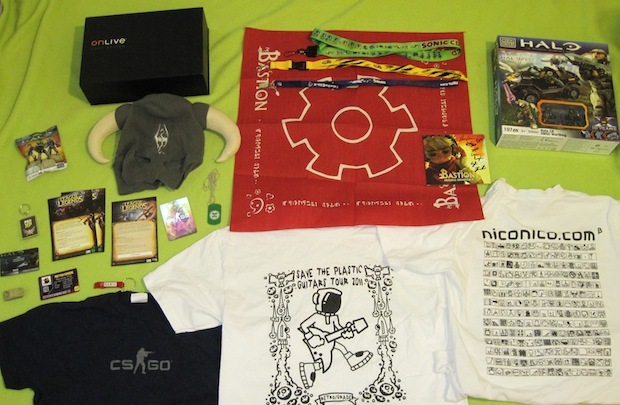 Thanks for making great games, supporting your community so generously, and preventing hunger with steak! Happy Bungie Day and Happy Anniversary! When i get a new game, my excitement ranges from “cool, this should be fun” to “holy ****, I can’t wait to play, get me home to play and leave me alone for 24 hours or I’ll snap!” The latter has become rarer as I’ve aged and developed that thing called patience, but I still know what its like to be absolutely dying to play a game. And sadly, as I’m sure most gamer’s have, I’ve been burned by my expectations. Sometimes a “holy ****” game, that you’ve counted down the days for, that looks like the coolest new idea you’ve ever seen, or perhaps the best sequel to your favorite series, just doesn’t live up to personal hype. I pop the game in, shaking with excitement as it starts and I begin the game, maybe the story starts with a bang and for a brief moment everything is right with the world, and then suddenly or not, the game lets me down. Other times, I hear briefly of a game from a friend, or read about a game online but don’t get caught in the hype, and then I buy it late, perhaps on sale, and my mind gets blown. It’s become apparent that my personal expectations and excitement for a game can drastically effect my experience and enjoyment when playing. In 1991 the original Sonic the Hedgehog was release for the Sega Genesis. It was loved by many, including myself, and became a commercial success. Over the three years following Sega released Sonic 2, Sonic CD, Sonic 3, and Sonic & Knuckles, all of them generally well received. When 3D games became the norm Sega brought Sonic to 3D on the Dreamcast with relative success in Sonic Adventure and it’s sequel. Fans of Sonic games (like me) could trust Sega to bring them great high speed experiences through Sonic games. And this is where gamers got burned. Not to say that every Sonic game since the Dreamcast has been a failure, many of them hit or miss with various gamers and some have been generally accepted. But after the Dreamcast the average quality of sonic games took a downturn, and the series has become a symbol for what happens when a good character is badly taken care of. When I first played Sonic the Hedgehog, the 2006 want-to-be-reboot for the Xbox 360, I had fallen for the advertisements and hoped that the experience would be at least on par with Sonic Adventure. The game started well, and in the end I don’t regret playing it, but I felt like a kid who was told he was going to Disney Land, but instead was taken to a county fair. It is a far more positive experience to be surprised by a game I haven’t heard much about. In November 2001 Halo: Combat Evolved, the first of the Halo series, was released for the original Xbox. I had minimal interest in the Xbox at the time, and had never been a huge fan of first person shooters so I ignored Halo. Aside from hearing some recommendations from friends and playing a very short stint at a party the game stayed out of my reach until my parents purchased an Xbox sometime in late 2002. From word of mouth I had reached the “cool, this should be fun” stage of expectation for Halo, but nothing more. Long story short, I’ve since become not only a Halo fan, but an avid FPS player. Another memory: In 2001 I was in a Target store’s games section and they had a PS2 demo kiosk running some game I’d never heard of. I hopped on and played around for 5 minutes, expecting nothing special as it was just a kiosk game, and I got hooked. When I later bought a Playstation 2 I bought myself a copy as soon as I could. That game was Ico. When I played through it, having only played 5 minutes, I was excited, but still hesitant to expect too much from it since I didn’t know anyone who had played it. Again, my expectations were blown out of the water and I had one of my most memorable gaming experiences. I don’t think anyone can completely forget what they think they know about a game when they play it, but perhaps we, as gamers, should try to temper our preconceived excitement. It would be bad to go into a game with a negative outlook, but perhaps for the sake of the game we shouldn’t allow ourselves to have unattainable expectations. Or, for the sake of improving games as a media, should we always go into games with the highest expectations, and allow ourselves to nit-pick about the smallest flaws? I propose that all gamers should begin a new game with only the expectation of a fun experience and allow the game to provide the rest. If we can simplify our expectations to this point as much as possible, hopefully we can objectively view a game for its strengths and weaknesses regardless of what we thought the game was before we played it. Holding on to objectivity is always a challenge, but if we are self-aware about our expectations, it may allow us to enjoy games for what they are, not what we wish them to be. Below: Some of my favorite games that I would consider to be artistic visually and otherwise. This last Saturday the 21st, I ran into this post on Kotaku. The posted video shows a brief debate on Fox News about whether video game creators deserve to be included in federal funding for the arts. The video itself is disheartening, Brian Ambrozy, the lone man chosen to argue for why video games should be considered for such funding, is given only a brief moment to explain that the expensive commercial games that get the most exposure are not the games that would be getting these grants, but instead it would be the “indie developers who develop educational and artistic games.” On the other side of the debate they place Neal Asbury, credited only as a Radio Talk Show Host in the video, but who, according to his website’s bio, is “an entrepreneur involved in global business” and is “chief executive of The Legacy Companies.” Assuming Asbury has as much knowledge and experience with business and the economy as his bio implies, I would hope he would add to the debate by discussing why Indie game developers should or shouldn’t get art funding from an economic standpoint. Instead, he begins by comparing video game creators to ping pong players, and then moves on to attack the National Endowment for the Arts (NEA) saying they “had lofty goals when they began” but “they have become a perversion for what they were once intended to be.” It’s clear that Asbury has a problem with the idea of federal funding for organizations like the NEA, and that is his opinion to have, but it does not address the issue that should have been discussed: Assuming the arts are still going to receive federal funding, should video games be considered? The entire video is laced with clips of Call of Duty, and Grand Theft Auto is referenced by the news anchor, displaying just how much this “news” feature is trying to convince people that game developers should not be funded. If they wanted to take an unbiased stand they should have shown artistic Indie games that could actually be getting funding. Regardless of the frustration Fox News has caused me with their propaganda-like dismissal of video games, the actual question at the heart of the issue is “Are video games art?” It’s clear that many people, such as Neal Asbury, only think of video games purely as a game, like ping pong. (Though some say that ping pong is not only a game, but a sport. Can the same be said of some video games?) In contrast to this opinion, the Smithsonian American Art Museum seems to have recognized that at the very least, video games contain art. From March 16th, 2012 to September 30th 2012 the Smithsonian is holding an exhibition titled The Art of Video Games. According to the official site, “The Art of Video Games is one of the first exhibitions to explore the forty-year evolution of video games as an artistic medium, with a focus on striking visual effects and the creative use of new technologies.” I’m very happy to see a national museum take on video games as an excepted art medium, and I hope this will broaden people’s acceptance of games as an art. But the wording the Smithsonian has chosen, “The Art of Video Games,” leaves some room for argument that video games are not art, they simply contain art. I’d like to form my own argument on the topic. To start, let’s look at a couple of definitions of art, as it’s a term that is used in too many different ways. My computer’s dictionary provides three definitions: art |ärt| noun • the expression or application of human creative skill and imagination, typically in a visual form such as painting or sculpture, producing works to be appreciated primarily for their beauty or emotional power : the art of the Renaissance | great art is concerned with moral imperfections | she studied art in Paris. • works produced by such skill and imagination : his collection of modern art | an exhibition of Tibetan art | [as adj. ] an art critic. • creative activity resulting in the production of paintings, drawings, or sculpture : she's good at art. The last of these definitions clearly can only be used to discuss the art contained in video games, as most games were at least painted or drawn in a digital sense, and you might say that 3D models for environments and textures in 3D games are “sculpted” though the process is very different from classical sculpture. The first two definitions however provide us some meat to work with. Both suggest that art requires creative skill and imagination, and the first goes further to explain that art works “are to be appreciated primarily for their beauty or emotional power.” Working with this as a basis, I pose the question again, are video games art? I think it would be hard to find someone who is an experienced gamer who would say that they have never played a game that was created with skill and imagination. I would say that game creators have always had to work with imagination on their side, as when game design first began the players often just controlled a few pixels. 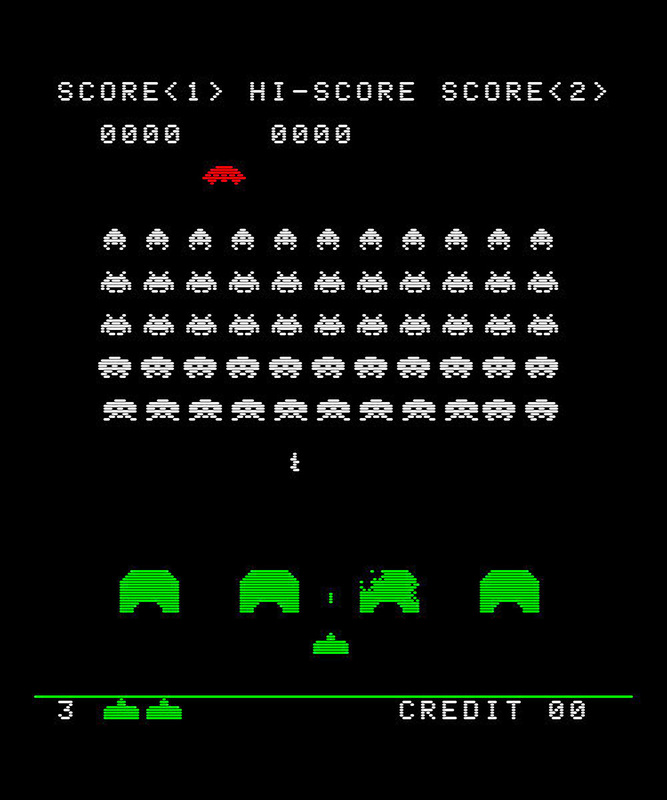 It takes imagination to see the pixels on the screen of Space Invaders as a fleet of alien ships assaulting a planet defended by a lone defense vehicle. And as a programmer myself I can’t take for granted the skill it takes to create games. Without imagination how could a game developer see this as an alien invasion? We come, then, to the second half of the definition, the goal of being appreciated for beauty and emotional power. I think that if game developers were going to list the goals they had for their game, number one on their list would often be that the game is fun, but it is also easy to find developers who discuss the beauty and emotion of their games. Even violent commercial games are not afraid to attempt an emotional interaction with the player; Gears of War 2’s story contains a romantic tragedy regarding the wife of one of the heroes. (See a clip here. Warning: Spoilers!) Though reviews I read of Gears of War 2 call that plot point flat and emotionless, and I can't help but agree that the delivery doesn't live up to the sadness of the story, not all art is accepted as being the emotional piece its creators meant it to be. 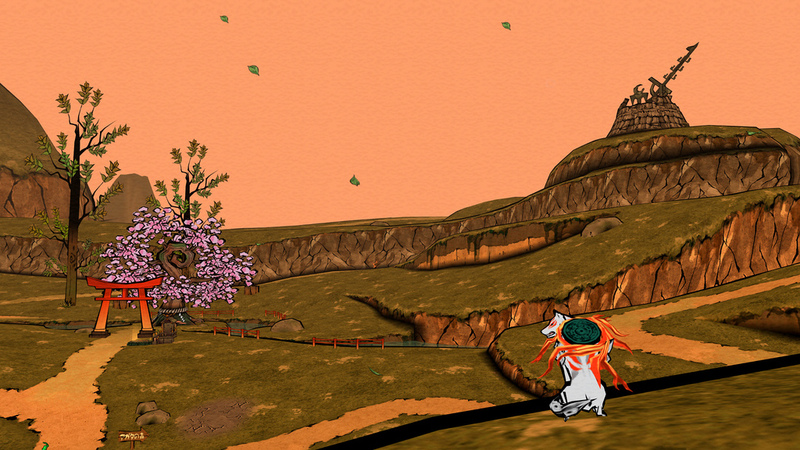 Other games, such as Ico for the Playstation 2, receive positive credit for the bond the player feels to the characters. Just like all other forms of art, some works fall flat, or only hit emotionally with certain people, but based upon the definition, I can’t see any way to argue that video games are not an art form. I hope that in the coming years, as gaming continues to permeate our entertainment culture, video games will be seen on par with movies, as an art form, made of many art forms. In games, visuals, sound, characters, and writing come together much like they do in movies, only instead of being bound by the experience of passively watching, they are bound by the experience of playing and controlling. Finally, looking back at the Fox News clip’s discussion of funding video games as art, I have to say I’m all for it. I don’t have the knowledge to say that funding any art is economically feasible during a recession, but if federal funding is continuing to go to movies, theatre, or any other business that is considered an entertainment art, then I think video games, which as an industry have shown no signs of failing economically, should have an equal chance of receiving monetary support.